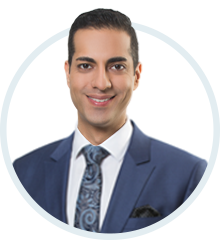 Rikin devotes his practice to representing individuals who have suffered serious or catastrophic personal injuries and families who have lost a loved one in wrongful death cases. In 2014, Lexpert named Rikin a “Litigation Lawyer to Watch” in its guide to leading litigation lawyers in Canada. Blog: Uber Insurance: How Does It Work? Case Summary: Can a defence medical exam be performed by someone who is not a “health practitioner”? Roque v. Pilot: A limitation period minefield. The Lawyers Weekly, December 2012.